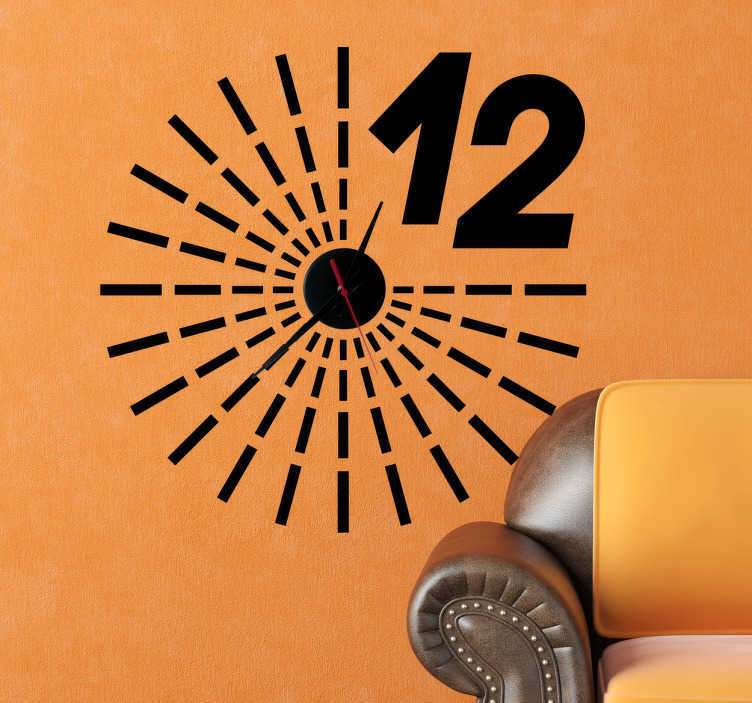 Original design of a clock wall sticker with geometric shapes crowned with a large 1 2. A design from our modern wall stickers collection. You can now decorate that empty space at home with this creative clock and give your place a more pleasant atmosphere!